Superior XC Team is ready to dive into the 2019 racing season, and FULL SPEED AHEAD will provide the German team with some top-of-the-line products. «FSA was already a strong partner in the early days of our team beginning in 2010 and we are really happy to continue this solid partnership with the new formed Superior XC Team» said Matthias Beck, Superior XC Team Manager. «For us, FSA is the choice of our wishes when it comes to ultra-light and reliable high end bicycle parts. FSA knows about the needs and aims of our riders and is on the pulse of the sport. For us it is important to have close contact to our partners when it comes to the development of new products. We are proud to be part of this evolution to create world class bicycle components and test them in all conditions, wether this is every day training, just having a good time on the bike, or fighting for podiums on the hardest Cross Country courses of the world». The new Superior XC Team, include six athletes. Here are the names: Fabian Giger and Linda Indergand, (eighth at the Rio de Janeiro Olympics and 2 times former XCE World Champion) from Swiss, Felicitas Geiger and Martin Gluth from Germany, Karla Stepanova and Jan Vastl from Czech Republic. The main sponsor is the Czech MTB Superior brand. 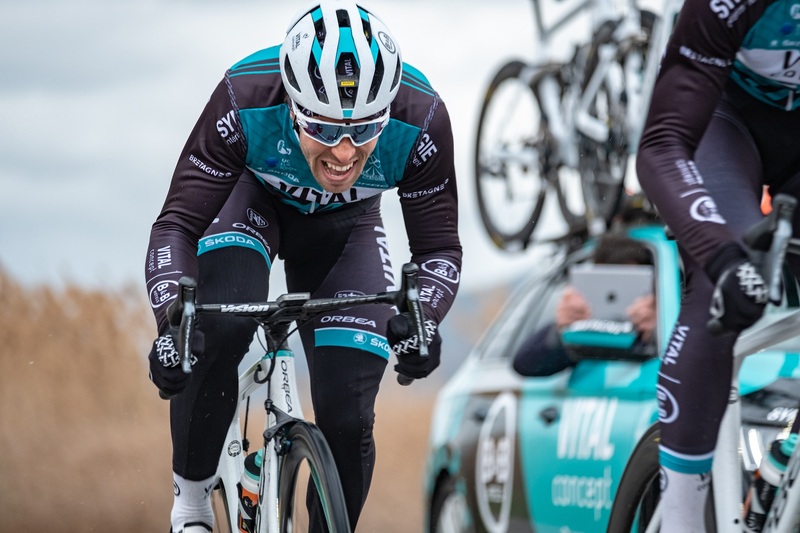 «We are proud and grateful of partnering with an high-level team like Superior XC Team – said Davide Riva, FSA Europe OEM Manager. – Full Speed Ahead has always believed in the importance of sponsorships to growing up with the teams sponsored. Furthermore, the suggestions of professional athletes who ride the most important international races will be very precious in order to increase the visibility and the awareness of our products». In 2019 racing season FULL SPEED AHEAD provides to the team its top-of-the-line cranksets: PowerBox Mtb Carbon and SL-K BB392Evo Modular 1X. Power meter in particular is an increasingly demanded product by mtb riders, not only to check the data during a ride, but also to store them. FSA PowerBox is the ideal choice for the most demanding riders, providing essential functions further to offer the chance to upgrade additional functions, making it an high technical content instrument. POWERBOX MTB CARBON: FSA’s MTB PowerBox Carbon Crankset employs a P2M convertible spider design for multiple chainring options. FSA's crank arms and BB392EVO spindle mated together produce a stiff, reliable, extremely versatile power meter crankset available with a double or single chainring configuration. K-FORCE MTB FULL CARBON FLAT HANDLEBAR: an ultralight choice for XC and marathon racers, the K-Force Flat handlebar uses carbon/Kevlar composite construction to achieve a weight of just 175g in the 700mm length. The unique design features an offset central clamping area so that the bar is flat all the way across the top. Internal reinforcement and surface texturing ensures firm clamping at the stem. It’s also reinforced where the controls attach and at the ends for bar end use.